Trading a wing with just nine goals in 46 games is hardly a give-up move, but a one-for-one swap for center Victor Rask does seem like a head-scratcher -- unless you're looking beyond this season. If Wild general manager Paul Fenton was trying to put players on “alert” that things were very much subject to change by trading Nino Niederreiter on Thursday — the second trade in two days for the previously non-dealing Fenton — Minnesota allowing three goals in the first eight minutes in an ugly home loss to struggling Anaheim was a strange but effective way for everyone to prove a point. If players were emotionally flat after losing a popular teammate, their performance showed that the repercussions of deals like this one and possible subsequent moves could be a further slide down the standings this season. For Fenton, he’s looking for answers instead of mixed messages. 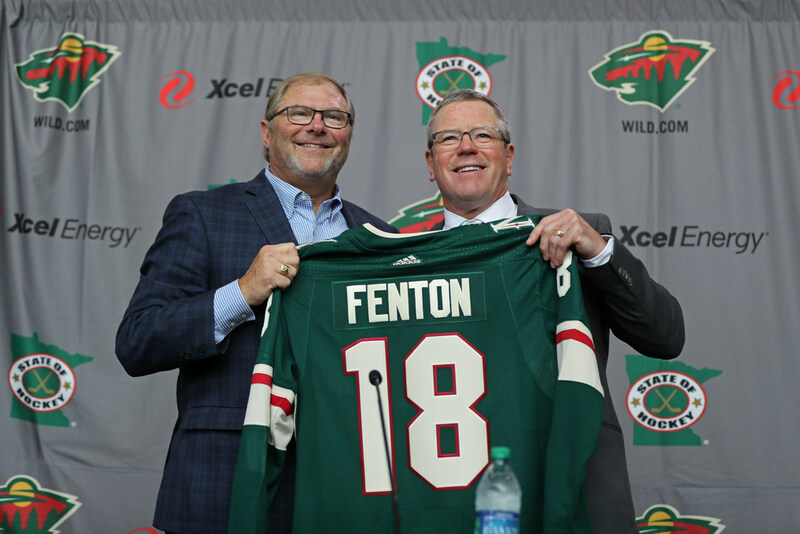 Thursday’s trade and game should serve as loud signals: While nobody should be giving up on this season — even after three losses in four games to bad or struggling teams the Wild is clinging to a spot in the top-eight — Fenton is and should be keeping at least one eye on 2019-20 and beyond. Trading a wing with just nine goals in 46 games is hardly a give-up move, but a one-for-one swap for center Victor Rask does seem like a head-scratcher if we only evaluate it in the short-term. Both players are about the same age and have both seen their production decline since signing long-term contracts, but Rask’s drop is particularly acute both in terms of ice time (12 minutes a game) and production (one goal) this season. Commissioner Gary Bettman recently said he expects the cap to be around $83 million next season (a $3.5 million increase from this year). Not having to shop for an impact center — as long as Rask is still that — and saving more than a million dollars on the cap will help. And after next season, Koivu will be a free agent — along with Coyle, Mikael Granlund and Jared Spurgeon, among high-impact players. That center depth suddenly could be pretty thin depending on how Fenton values those players. The Wild has just $45 million committed to the cap for 2020-21, meaning two offseasons from now will be the first chance the Wild really has for a meaningful roster makeover. Until then, with six players having limited or full no-move clauses (five after Staal’s deal expires, assuming he doesn’t re-sign) and the Wild showing little appetite for a full-on roster gutting for high draft picks, Fenton’s options for improvement are either high-risk blockbusters involving the Wild’s best assets (Mikael Granlund, Jason Zucker, Jared Spurgeon or Matt Dumba) or incremental moves he hopes will help in the future without doing too much damage in the present. I’m not sure Thursday’s move was a good one, but it fit into that latter category.